Bridge Tallies - Playing Cards - Coasters - Avonmore, Inc.
For more information, click on product of your choice. 2-3 and 4-5 table tally sets are printed back-to-back. They are the greatest. Everytime I use your tallies, people ask me where I got them. You are getting many compliments from my bridge playing friends. These are samples of the frequent notes that we receive. In 1990, I started creating my own homemade bridge tallies. My friends liked my idea and I started to make them to sell locally in California. The first tallies were typed on my memory typewriter and laminated at an office supply store. With encouragement from friends, I produced greater numbers and started selling them out of state because of referrals from local customers. Orders have been sent to all 50 states plus Washington, DC; 7 provinces across Canada; plus Mexico, Italy, Australia, Japan, and the West Indies. Our products make thoughtful hostess gifts. Many orders have come from bridge players who received their first set of tallies as a gift or prize. When the tallies were used at bridge parties, more orders followed soon after. Since Avonmore was started in 1990, many bridge players have expressed satisfaction through phone conversations and notes. They have voiced what a convenience it is to have the tallies and table number markers on hand to use repeatedly and not have to shop for them since they are difficult to find. Based on a customers suggestion, the movements were revised to accommodate mixed pairs. To help with sorting and playing the cards, we decided to produce a unique set of playing cards. In 2003, the Smart Colors Playing Cards were created because players often confuse the red suits, as explained in the Playing Cards link. The diamonds are blue, not red, and the clubs are green, not black. We have added Smart Color playing cards to our product line and customers are playing poker with them as well as bridge. 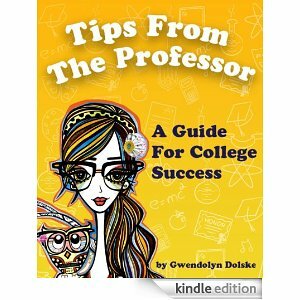 YOU'RE INVITED TO VISIT . . .
. . . Amazon to purchase the Kindle edition of "Tips From The Professor - A Guide For College Success". I have published a cookbook that contains my special recipes that will serve bridge parties to cocktail parties, potlucks to gourmet dinners. PLEASE SUPPORT OUR INJURED TROOPS hospitalized in San Diego, California, by ordering my Warrior Cookbook. All proceeds will be donated to the Warrior Foundation.